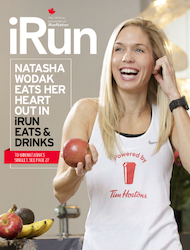 Everything you need to know about eating, both before and after your races, like Olympian Natasha Wodak in iRun Eats & Drinks. Dive in racers, we have something cooking: from Olympian Natasha Wodak’s nutrition tips to Sage Watson’s love of Albertan beef; the hidden ingredients in race gels and everything you need to know to eat like in Kenya from your Canadian home; recreate the best healthy recipes, follow an ultra marathoners trip to a dairy farm and tricks plus treats for your next races—iRun Eats & Drinks is everything drinking and food. 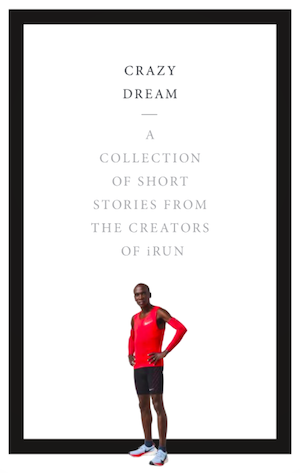 Please click on the box on the lower right and enjoy iRun Eats & Drinks special issue in full screen. Also: to win Tasha’s exclusive Tim Hortons singlet, see page 28—cheers.